The museum’s building is central to this story. It was built at the time of the transatlantic slave trade, to store the sugar from the West Indian plantations where enslaved men, women and children worked. 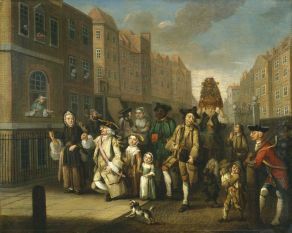 Find this painting showing a black servant joining in a traditional London festival in the 1770s, at the same time as the slave trade was in full swing. 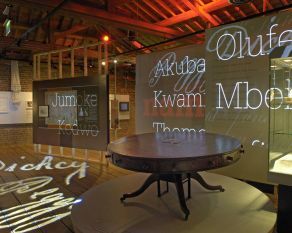 See the names, captains, owners and destinations of the ships that sailed from London to trade in enslaved Africans - whose names were not been recorded. Ignatius Sancho was born on a slave ship in the mid-Atlantic and brought to England at the age of two. 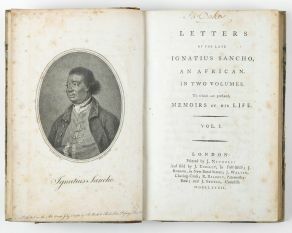 His best-selling book was the first prose published in Britain by an African author. The slave plantations of the Caribbean were driven by Britain's craving for sugar. 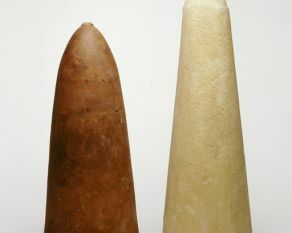 In London the processed sugar was made into sugar loaves using molds like these. Read the Mills Plantation Archive, books and letters of the London slave-owning Mills family- including a strange correspondence with an enslaved man named "Pembroke". 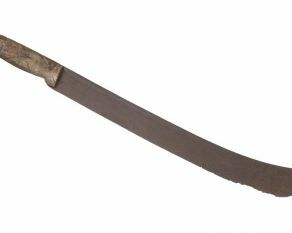 This large knife was made in Birmingham, England. Tools like these were used on slave plantations in the West Indies, and traded for enslaved Africans. 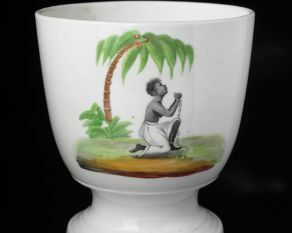 This sugar bowl is hand painted with a pleading African slave. Campaigners for the abolition of slavery wanted to remind British people of the slaves who produced their sugar. 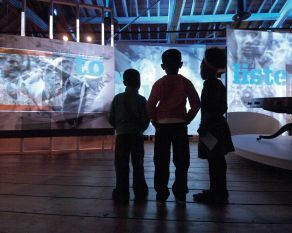 An immersive sound and light show plays in the gallery every fifteen minutes, exploring the lives of some of the people bound up in the slave trade. 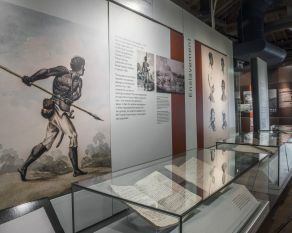 Explore the efforts of those who fought to end slavery, from Caribbean revolutionaries to British campaigners. This table was owned by abolitionist MP Thomas Buxton. 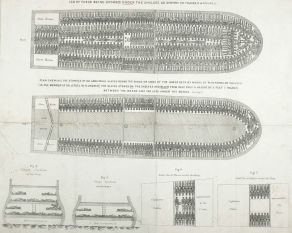 This infamous diagram shows how enslaved Africans were packed into ships to cross the Atlantic. 609 men, women & children were carried in terrible squalor aboard this slaver. Free tours through the highlights of each gallery run daily. 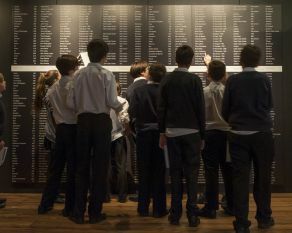 Extensive free resources for families visiting the gallery.